What's a Spouse to Do in Downtown Tampa? What&apos;s a Spouse to Do in Downtown Tampa? 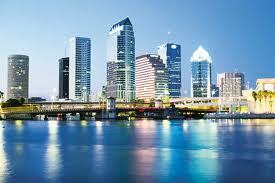 What’s a Spouse To Do in Downtown Tampa? Linda Mummert here to inform our visitors how easy it is to discover the treasures of Downtown Tampa. When your spouse is occupied at the Convention Center, take a five-minute walk up Tampa Street, pass the lovely shaded Lykes Park and discover the Old Tampa Book Company, nestled in a cluster of small ethnic restaurants. This one-of-a-kind bookstore with floor to ceiling shelves groaning with used and rare books, air scented with the faint perfume of old books and a knowledgeable staff is a destination in itself. Stop at the Spain Restaurant for a cup of café con leche and Cuban cheese bread to fortify you for a couple of hours of leisure browsing through the 40,000 books next store. For lunch you need look no further than just across the street. You will find quiche, crepes or huge salads at L’Eden , Vietnamese pho or spring rolls at Bamboozle Café and a plentiful Greek style menu at Samaria Café. Afterwards, you can enjoy a leisurely walk along the Tampa Riverwalk and experience our Tampa Museum of Art. These are just a few of the many choices you will have in this easy to explore neighborhood located just blocks away from the Convention Center and downtown hotels. That&apos;s all for now, but stay tuned in for more updates on meetings related things to do in Tampa Bay!